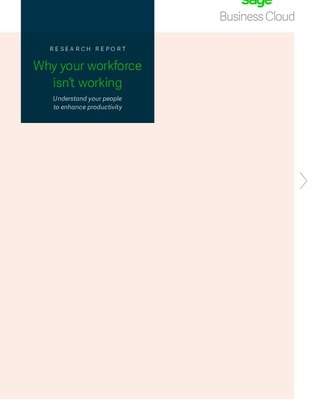 Positive workforce experiences can make a big difference in the level of employee productivity. In fact, a recent survey of 3,500 employees across companies of all sizes revealed that 8% of respondents claim to be more productive at work when their working experiences are positive. This jumps to 92% for younger people or millennials, according to Sage Software.